Wonder Woman Passes $400 Million in the U.S. While its successful box office run may be coming to an end soon, Warner Bros.' superhero adventure Wonder Woman has passed another milestone, crossing $400 million domestic. This news comes just days after Wonder Woman passed Deadpool at the worldwide box office, with its domestic total now at $399.5 million, as its expected to cross $400 million tomorrow, with the worldwide tally at $793.4 million, as it will likely cross $800 million worldwide within a day or so. While it may not crack the $1 billion mark, this superhero adventure has been on one hell of a box office run. Variety reports that Wonder Woman will cross the $400 million domestic plateau by the end of this weekend, crossing a mark that its DCEU predecessors Batman V Superman ($330.6 million) and Suicide Squad ($325.1 million) could not. 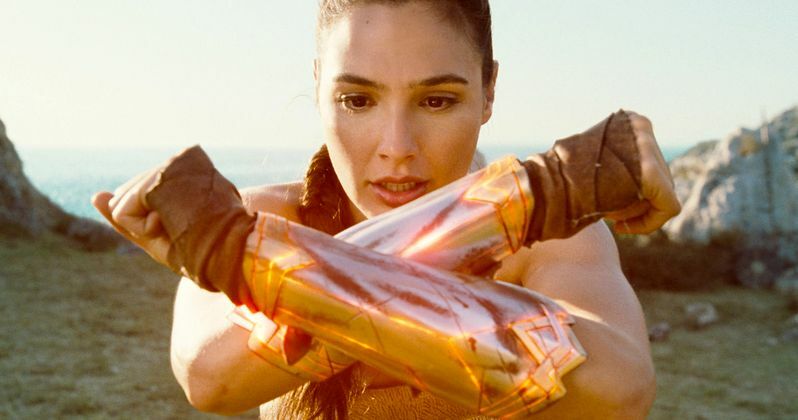 While those movies did fare well at the box office, they were trashed by the critics, although Wonder Woman has been universally beloved by fans and critics alike, so it's no surprise that it has passed this milestone. The movie has been performing so well that Warner Bros. is even considering mounting a Wonder Woman Oscar campaign, where the studio hopes to get Wonder Woman nominated for Best Picture and to get director Patty Jenkins nominated for her work directing the movie. The superhero adventure already has the distinction of being the biggest summer movie this year, although it still has some work to do if it plans on overtaking Beauty and the Beast as the top domestic movie, which has taken $504 million in theaters during its box office run which started this March and ended last month. Before she was Wonder Woman (Gal Gadot), she was Diana, princess of the Amazons, trained to be an unconquerable warrior. Raised on a sheltered island paradise, Diana meets an American pilot (Chris Pine) who tells her about the massive conflict that's raging in the outside world. Convinced that she can stop the threat, Diana leaves her home for the first time. Fighting alongside men in a war to end all wars, she finally discovers her full powers and true destiny. The supporting cast for Wonder Woman includes Robin Wright, Connie Nielsen, Ewen Bremner, David Thewlis, Danny Huston, Elena Anaya, Lucy Davis and Said Taghmaoui. Warner Bros. is already prepping Wonder Woman 2, which the studio has already set for release on December 13, 2019. Gal Gadot will return as the title character, with Patty Jenkins in talks to return to the director's chair. It isn't clear when production may begin, or if a screenwriter has been brought on to write the script yet. Still, with the success of Wonder Woman at the box office, it's no surprise that this sequel is moving forward rather quickly.